Websites are the digital offices of the businesses, so it is highly improbable to survive without a robust online presence in today’s world, we must know the latest website design trends to stand out from the crowd. Internet usage has significantly increased and has become an indispensable part of our lives. There are various gadgets and technologies which provide unconstrained access to the World Wide Web around the clock. The telecom providers have offered almost unlimited bandwidth of connectivity to help their consumers stay connected. We depend on this platform for personal, professional work, leisure, knowledge, fun activities and even maintaining our relationships. There are various applications which play a vital role in fulfilling the needs of the consumers. The internet has successfully created an ideal platform for brands to connect with their potential target group. This has amplified the need for a digital office or website and companies have attempted to design the perfect website to meet their needs. Here are the top 11 website design trends for 2019 which could assist companies to achieve their goal. The first impression plays a crucial role in the success of the website design. Hence, the consumers make a decision about the company in the first few seconds of visiting the website. The website design trends of 2019 advocate the proper categorization to ensure synchrony. The balance of the images and content should be achieved to make it aesthetically refreshing. The pictures and animation used should communicate the brand message. It is essential to prioritize the information to display on the front page to ensure communication of the right message to the consumers. It is also crucial to allow enough breathing space which adds emphasis on the message. There are thousands of gadgets which are available in the market, and it is highly improbable to determine the ones preferred by the potential target group. The website compatibility is one of the primary web design trends of all time. The website should look ideally the same and fit in all devices to maintain the brand image. With the latest technologically advancements in web development, it is very much possible to create the perfect website design. The real challenge, however, lies in checking the compatibility in many devices and understands the features before proceeding with the actual launch of a successful web design. Animation has become an inevitable part of the website design. Though the technique has evolved over the years, the ideology of utilizing an animated video to convey the brand highlights has not changed at all. Companies have used this technique to highlight their feature and display their services. The font is one of the last few things considered while designing a website. The color and image get maximum emphasis, and the typography takes the back seat in the list. Typography is an art, and the font selection plays a vital role in aesthetics according to the web design trend of 2019. This selection should be made in accordance with the brand font, and the real definition of heading and paragraph fonts should be distinct. Space and text alignment also plays a crucial role in this segment. Positioning the content with the right background color and formation is the primary distinguishing factor of the site. Which color guarantees the success of the website? Is it the bright ones or the soft ones? There is no specific guide to the determination of color utilized for the site. However, the website design trends for 2019 define the palette choice and the right combination to enhance brand visibility. The color used should be in synchrony with the brand theme, complement each other and offers ideal emphasis on the content. The balance between these tones differentiates a good website from a great one. Uniformity and connectivity are vital factors to be considered while finalizing the color scale. The content is technically not a part of the design process of the website. Nevertheless, it has a critical role in the success of the site. It is essential to identify the type of content required for each aspect of the webpage. This can be crisp in some cases and more detailed in other segments. Every word created including the tags, introduction to the description should portray the brand message. The heading should be intriguing and should promote the readers to know more about the services. This can be achieved by a thorough analysis of customer expectations. The positioning of the content improves the readability of the website as well. Consumers are greatly fond of personalized care, and it is one of the strongest selling points of all times. They do appreciate the extra mile effort, and it builds loyalty among the masses. Live chat options help the brands to stay connected with the consumers at all times. This helps them to address issues, answer queries regarding the product and can even lead to sales conversion. This option supports the brand to have a significant influence on the consumer buying pattern. There are various applications available on the market which allows the brands to set up with the option and keep themselves updated with the latest design trends. Digital marketing is not just about creating an online address. It is about identifying the compatible platforms which can be useful in connecting with the target group and formulating a plan to improve footfalls. This can be in the form of social media, forums, blog and another digital platform. These mediums are usually utilized to increase the visitors to the website by funneling the response to a centralized place. It is vital to include these links in the site and encourages consumers to be a part of them. This aids in effective communication to the consumers in a faster and technologically advanced way. These connections should be positioned in a more prominent place for better results. The website is a multi-paged entity, and consumers need proper assistance to help them navigate through them. Creating an online office is not just about aesthetics, it is also about utility. Most customers do not have the patience to search for the site for the required details. Complicated navigated system drastically reduces the amount of time spent on a website by individual consumers. It is essential to create a clear and distinct navigation feature which simplifies the process and improves the consumer experience. This can be accomplished through prompts and vital links positioned at various parts of the website. The days of too much information in too little space is over. Consumers are presented with multiple choices due to the heavy competition in every segment. They do not have the time nor interest to read through various pages and detailed content. The minimalistic approach is the latest web design trend in 2019, and it has proved fruitful compared to its peers. 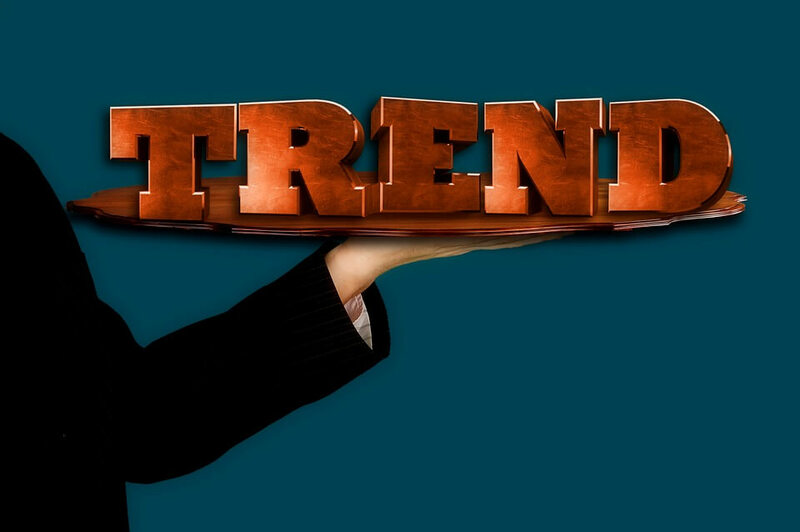 This trend calls for the usage for nominal shades to highlight the content or the brand message. Quality is given more emphasis than quantity, and every element is created with the utmost finesse to capture the attention of the end user. The primary purpose of creating a website is to connect with the potential target audience and improve brand visibility. The site is an ideal platform to gather leads and enhance the consumer database. The real challenge lies in successfully making the connection by creating an interest in the consumer in the various products and services. The call for action is an essential and most crucial aspect of the website design trend which serves as a communication medium between the brand and the consumer. This database can be utilized for promoting the seasonal deals, new product launches, and company achievements. It is also vital to create a simplified form to improve the conversation rate in lead generation. The critical factor to be considered while designing a website is consumer perception. The primary goal of creating a website or a digital office is connecting with the potential target group and every step taken should be focussed towards it. It is essential to communicate the same message in both online and offline medium for getting better results. Even the campaigns conducted in both mediums should be in synchrony. The next step in designing and managing the website is the updation. Consumers are in the lookout for innovative deals, and it is essential to keep it fresh to stay ahead of the competition. Social media is an active promotion medium, and it can be utilized for gaining the attention of the potential target group. Every aspect of the design right from hosting space to the images used should be considered with care to ensure the perfect outcome for the website. The ideal design can become part of the 11 tops website design trend.